Though Akhil’s second film “Hello” has impressed partially despite the fact that Vikram K Kumar directed it, leading lady Kalyani Priyadarshan impressed all with her beautiful looks. But it looks like this youngster is struggling to get her foot right. 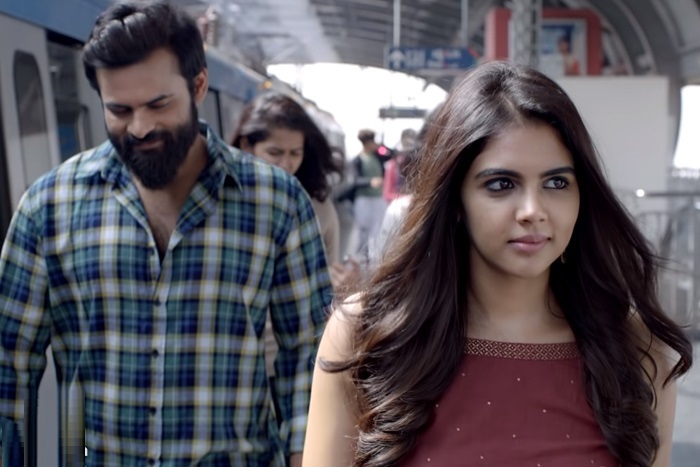 Recently, Kalyani is seen in Chitralahari in a very small role which has good dialogues but not much of anchor into the story. But then, she’s not picking some good lead roles and opting for second leads or parallel lead where screentime will be taken away by other happening starlets. In Sharwa-Sudheer Varma film, she will be the part heroine with Kajal Agarwal grabbing most of the space. And then she is said to have signed Nithin’s Bheesma as well, where happening starlet Rashmika Mandanna is the leading lady. If Kalyani continues like this, maybe single lead roles won’t come her way, say observers. However, the success of these upcoming films will be decided whether Kalyani made the wrong move or right move. Because the likes of Sai Pallavi have done films like Premam where there are three heroines, and still shined.